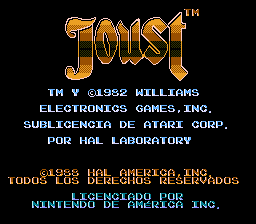 Joust is an action game for the Nintendo Entertainment System. 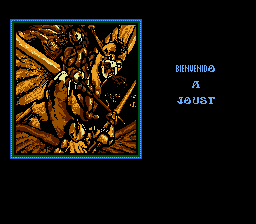 In Joust, the player controls a knight riding on an ostrich that is able to fly. 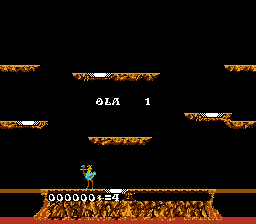 The main goal is to knock the other knights off of their ostriches and kick the eggs away before their ostriches grow back. 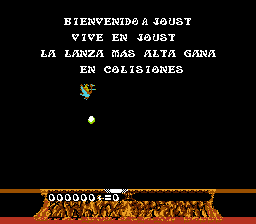 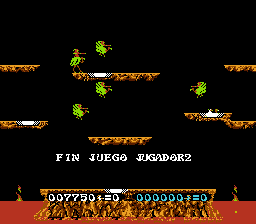 Translation to Spanish for “Joust” for the NES.